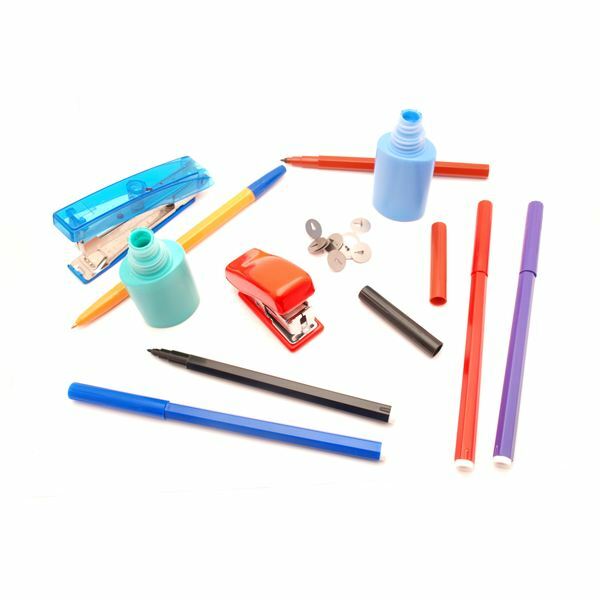 Should Parents Be Responsible for Buying Classroom Supplies? I was at Office Max the other day and out of curiosity I pulled a teacher supply list from the six foot tall spinner that was at the store’s foyer. I shook my head, though not surprised, to see lists of supplies that started at the top of the paper and extended down to the bottom. In any given classroom in America teachers have bought into the commericalism of the back to school craze, and ironically it doesn’t cost teachers anything. It’s the parents wallets it has effected most. In his opinion piece for the Iowa City press called Commericalism attacks Schools Nicholas Johnson concluded that the corporations, not the British, are coming. He goes on to note that “they are already here.” Though his piece more focused upon the 350 billion dollar customers of corporations that schools are by sighting things such as the tutoring industry, equipment purchasing, and competitive bidding, his points can be carried over to the back to school spending that parents do annually as yet another example of this invasion. If taken a step further, the impact of big business on schools not only relates to what we spend, but also what the underlying goal is of our public institutions past and present….to, as Mr. Johnson puts it, “train kids with the skills businesses need.” So, in essence, we (schools, parents, taxpayers) are paying businesses big money so our children can be raised with the skills needed to be competent business men and women. Anyone see a cycle here? It would explain why music, art, drama, creative free thought and critical thinking are not at the heart of our state curriculums. Do we Really Need all Those Supplies? But for this article, let’s bring it back a notch and keep it simple. The lists I enjoy reading each year include pens, pencils, markers, scissors, protractors, calculators, pencil cases, binders, folders, glue, bed mats, Kleenex, baby wipes, paper, notebooks, white-out, erasers, and other essentials. Now, teachers may argue that they spend lots of their own money on school supplies, and I do relate that to my own expenditures as a classroom teacher, but none typically relate to purchasing supplies like the ones on teacher lists. I have a big bucket of crayons, glue, rulers, protractors, calculators, markers, compasses, loose leaf, construction paper, scissors, stencils, colored pencils that I replenish every year if needed by catching the ten cent sales at Wal Mart. Of course, I work in a private school and we don’t get money to purchase supplies. However, a public school teacher quite often gets money each year from his school to requisition classroom supplies, and typically has a separate fund to purchase books and furniture. I recall in my last public school placement I was allotted nearly four hundred dollars a year to “shop” with. I would go through the catalogues and restock. So I’m always wondering why families, who are already paying taxes to the school, have to go out and spend all this money. On top of it, reports from beleaguered parents suggest that many times the items on the list do not get used in the course of the year. My suggestion to parents this summer upcoming is to start thinking about what you’re buying and then consider why you should have to buy it. If you had a child in my class this year you would have to get them a few notebooks, folders and pencils. Even that is pushing it. Get some parents together and make some noise. The reason why nothing ever changes is because many times people complain but do not resolve to fix what is the root cause of the complaints. Ask your teacher if any of their requisition money was spent on supplies for the kids or why a class supply of rulers, calculators, pencils, crayons, glue…can’t be maintained by the teacher year to year. Sometimes I think we as teachers do things because we haven’t thought to do otherwise. After you resolve the issue of back to school supplies, we can talk about the 6.6 billion dollars a year families spend on back to school clothes, making it the biggest shopping craze of the year outside the Christmas holiday. Oh, how big business loves us, and probably laughs at us as we futily wiggle in their webs.